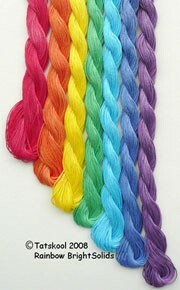 This is part of a series of Rainbow Bright Solids colours to complement Rainbow Bright. 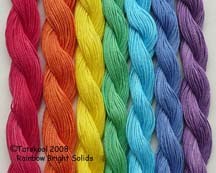 Each skein of a solid colour is individual and may vary in depth of colour from future skeins. This Orange Skein is 50yds of Coats Mercer Size 20, 6 cord thread.